I promised Ken Broad at Fictional Campfire that I would write a flash fiction story according to one of the pictures he offered last Super Snap. It’s a little late, but here it is. They tricked me! I went to the cliff on the night of the full moon, as usual, for my monthly rightful tribute of a delicious young virgin. Also as usual, there she was, in mouth-watering loveliness…fresh, unspoiled, tender flesh. And then…I can hardly speak of it…excuse me for a moment. HE WIPES AWAY A TEAR. Just as I was reaching for her, she was somehow pulled out of my grasp and one of their damned warriors appeared. They are always encased in metal, which gets into my teeth and gives me terrible indigestion, so I avoid eating them if possible. They kept jamming it into my buttocks. However, this fellow was as annoying as a broken wing vane. He kept jabbing at me with his spear. Puny thing, really fit only for a toothpick, but annoying all the same. If he stuck it in my eye, it could cause me real trouble. Then…oh, the infamy of it all! Excuse me again. HE WIPES AWAY ANOTHER TEAR. You’d think after 100 years that these…these PEOPLE would just stick to our bargain. One young virgin a month in exchange for my protection. I haven’t eaten beef on the hoof for a century. Think of that, how faithfully I kept to the bargain. But there these treacherous humans were, jamming one of their flimsy warcrafts into my buttocks! A dozen or so were poking at me with all manner of sharp instruments. Methinks in the past hundred years, they have improved their metal, damn their eyes, since these stings almost hurt. And I certainly was not going to swallow all these flesh in a can. Terminal indigestion! But they were trying to provoke me. As I swung my head around, I could see in the distance another of their abominable warcraft pulling from shore and heading for me with obvious nefarious intent. So then came the decision. One has to admire their courage. If the positions were reversed, I don’t know if I would attack me like that. One swipe of my tail would take out the first craft and I would then crunch the second craft in two. Thus the dilemma. Do I give them one more chance to honor their commitment to me, or do I wipe them out and feast for a month? What to do? What to do? I had pretty much decided to give them one more chance. After all, despite their treachery tonight, they had honoured their commitment for 100 years. That would be…let me see…twelve hundred fresh young virgins. And I have to admit, every single one of them was tasty. So I turned around and gave them a warning bellow. That’s when their perfidy became vicious. There was an explosion, lots of smoke and agonizing pain in my right eye. I bellowed again, this time in distress, swung my head involuntarily and backed away, inadvertently swamping the near warcraft. I also accidentally knocked the one fellow off the cliff. I didn’t even see him splat on the rocks below. My eye was bleeding and the anguish of the wound overcame me. Who would have thought these miserable creatures would have developed explosives in a mere century! I am ashamed to say, I fled. Now I sit in my cave, contemplating the sins of these humans. I could call on relatives and friends to go and punish these mutineers as they so richly deserve. But then said friends and relatives might finally find my treasure. Or I could go myself and risk having my other eye shot out. HE SHUDDERS. Or I could rest for a hundred years and perhaps heal my eye in the process. It’s been an eon since I’ve had a really good sleep. HE YAWNS. This entry was posted in fantasy fiction, Flash Fiction and tagged dragon, postaweek2011, sacrificial virgin, Sandra Bell Kirchman, virgin. Bookmark the permalink. I’m glad you like it, Myrna. Just to make sure…the story entitled “Despair” was written by Eric Esteb as a guest blogger, not me. However, if you mean the despair in “Duplicity,” which I retitled “Draggin’ Dragon” and which I did write, then thanks a big bunch for your kind words. And thanks for dropping by. I hope you find other stories and items to delight you. I’ve written a number of these flash stories and Eric has written one other. Too pooped to puff…that’s hilarious! I love this side of your storytelling, Sandra. Wonderful! Thanks, Selena, I’m glad you are enjoying this. I truly think it’s worth a shot! I say go for it! Do you have a collection of them? Thanks, Selena. I’m actually quite eager to try. Our writers’ group put up Birth of a Unicorn and Other Stories on Kindle, and it has already sold a couple. Not a fortune, especially at $1.99 per book, but hey, there are no expenses attached to it. I just have the four I have written here (Draggin’ Dragon, Phony Express, Southern Princess, and She Had Been Warned, But Now It Was Too Late… (I might change the title of the last one to something a little simpler, with apologies to Haley Whitehall :P). So, I’ll have to write a few more. I love doing them…I just have to find the time. How many do you think I’ll need? I would think at least 10, and more if you can. I’m so excited for you! It’s something that I hadn’t even thought of doing, but it sounds perfect. To be honest, I wouldn’t have thought of it either. Stephanie Ciofalo, one of the writers for Birth of a Unicorn and Other Stories and the asst. admin at the FantasyFic forum and site, got very enthusiastic about it, since she got a Kindle for Christmas. So she researched the whole thing and got BOAUAOS into both Kindle and Nook. That’s what gave me the idea. If it sells well, great. If it doesn’t, well no harm done since there is no publishing expense. For a story that started out somewhat morbid, I was actually smiling at the end! 🙂 I didn’t see that ending coming. Great job! An enjoyable read! With all you have on your plate these days, Deb, I’m doubly glad that reading this gave you a chuckle. Thanks for dropping by and taking a look. OMG this was absolutely hilarious! I loved it -you have a great way of telling the story and soooo engaging! You had me glued from the onset and I could not stop reading -great achievement -I definitely think you should consider publishing -that’s a great idea! 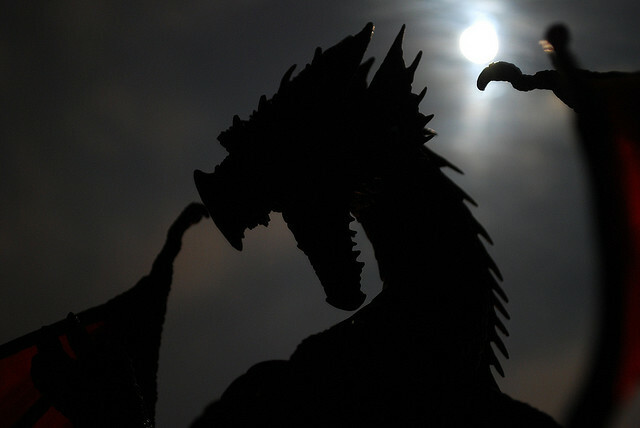 Thank you for sharing such a quirky tale -you have to feel for the betrayed dragon! Speak of the treachery!!! Excellent! 🙂 I will look forward for the release. I did some research on Self-Publishing a few weeks back and wrote a post Self-Publish or Not – That is the Question -it was inspired mainly from Roz Morris’ I’ve had near misses with agents and publishers –should I self-publish? -in short the main point made was that when self-publishing through Kindle etc ensure you edit the story(s) well so it sets you off with a good reputation for future possible publications. Thanks for these reminders. I have published three books so far under the auspices of my little company FantasyFic. I did all the editing and layout in each case, and, believe me, it was a hefty chore. It is so easy to miss some of the small things that stand out like a sore thumb if they are missed. I understand Kindle has a different kind of layout than print books, so I will have to learn that. I hope I can come up with a relatively error-free book when I am finished. Hope you go ahead with your venture. I will buy your book (just as soon as I can get a Kindle that takes US stories in Canada grrrr). And thanks for the backing on mine. Very sorry for the late getting back to you. Dragin out the humour huh? It was fun to read! Makes you wonder how King Kong, Godzilla, and company felt! Sandra, I really enjoy your bursts of flash fiction! The virgins versus beef-on-the-hoof eating habits reminded me of the aliens who invade to hunt humans in “The Fresco” by Sheri S. Tepper. Some days I’d make the choice to sleep 100 years! Glad you liked my story, Janet. I haven’t read that story by Sheri S. Tepper. And yeah, sleep 100 years…all right! Thanks for dropping by and commenting. I really enjoyed this story, Sandra. I totally think you should self-publish a short story collection with this story included. The dragon theme is always going to be popular. Thanks, Haley. I believe I am going to publish a collection of my flash fiction and short stories on Kindle. By the way, did you ever read the Civil War short story I wrote with your pic in mind? If not, you can find it here. I’d really appreciate your opinion of this one.